With two collections already under her belt, Connie Corcoran Wilson takes the short story in some fascinating new directions in “Hellfire and Damnation.” Lean at just over a hundred pages, the book still manages an examination of each level of hell as described in Dante’s, Inferno, with each tale representing a sin appropriate to its section. It makes for a perfect framing device, and it’s a wonder it hasn’t been used in horror collections more often . The first story, “Hotter than Hell,” acts as the reader’s entry through the gates of the underworld itself. The tale revolves around an unrepentant murderer awaiting his execution. Alone, except for the letters sent to him by his soldier son from Kuwait, he witnesses the breakdown in his child’s idealism before finally coming to understand the reality of what punishments await him on the day of his death. “Rachel and David,” the sole occupant of Limbo, offers a well-written, if somewhat traditional ghost story, given greater strength by its folklore status. The next tale, “Love Never Dies,” explores Lust in far more ambitious territory with a tale involving young girls being resurrected for use as prostitutes in Pompeii. “Amazing Andy, the Wonder Chicken,” breaks up the serious tone of its predecessors with the story of a chicken that survives decapitation only to be exploited for money and lusted over by a farmer’s greedy mother-in-law. “Queen Bee” follows up on “Andy’s” darkly comic atmosphere in the next circle with a very short but amusing narrative of spite set in suburbia. “Going Through Hell,” fits in the circle occupied by the violent perfectly with the harrowing story of a female cop and would-be writer forced into an unspeakable position by a serial killer. The next tale, “Confessions of an Apotemnophile,” runs into similarly graphic territory, and is made even more disturbing by the protagonist’s willing role in his own mutilation. It also boasts what may be the best ending in the book. The final story, “An American Girl,” closes things with a killing orchestrated by a high school girl and its messy aftermath. 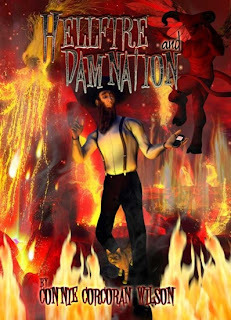 “Hellfire and Damnation” does a number of things right. The connections a number of tales have to reality and folklore offer a special creep factor that adds to the tension, while Wilson make sure there are enough of the stranger tales to keep the “based on a true story” vibe from becoming pervasive. Still, it is often the latter that showcases her best work, and one comes away wishing even more of this territory was explored. Thank you for the kind words regarding my short story collection "Hellfire & Damnation." If you would like to see my nonfiction anthology, "It Came from the '70s: From The Godfather to Apocalypse Now," a collection of 50 reviews which appeared in the Quad City Times between 1970 and 1979, with 76 photos, major cast and trivia, contact me and I'll send an ARC along (arriving soon). 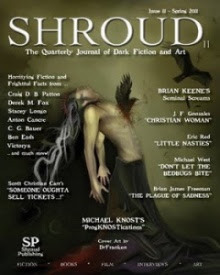 With official release planned for 2011, I hope this book qualifies for a Stoker recommendation in the Nonfiction category in 2011, and I'm hoping even more that "H&D" (www.HellfireandDamnationtheBook.com) makes the final ballot this year in the Short Story category. Thanks to you, maybe a few more people will read about it and vote for it. CEO, Quad Cities' Learning, Inc.